Hotdogger. Ice Cream Cake Maker. Storyteller. After the Hot Dog Highway, I landed at Career Sports Management where I developed creative programs and events for Shaquille O'Neal, John Smoltz, SEC and ACC football, Nestle, Aquafresh, Keebler and more. Today I'm a Freelance Creative Director and Copywriter in New York City where I have created digital campaigns, branded content and social media programs for Raisinets, Bertolli, SundanceTV, Food Network, NIVEA Men, Vera Wang and more. I have also worked at VaynerMedia, Ogilvy, Y&R, McCann, among others. I loved being a part of the Nikon Picturetown campaign, which garnered a Cannes Lion, a Gold in The ONE Show and honoree status for a Clio. I was also honored to be a Featured Speaker at New York Social Media Week this year for a session on storytelling and business. Why? Because I love blending my live storytelling experience with creating funny and engaging stories and videos for some of the world's most recognizable brands. Raised on UConn basketball, I defected and became an Orange fan after earning a B.S. degree in Marketing and Television/Radio/Film - Writing from the S.I. Newhouse School of Communications at Syracuse University. And for the record, my love of food is not limited to hot dogs. 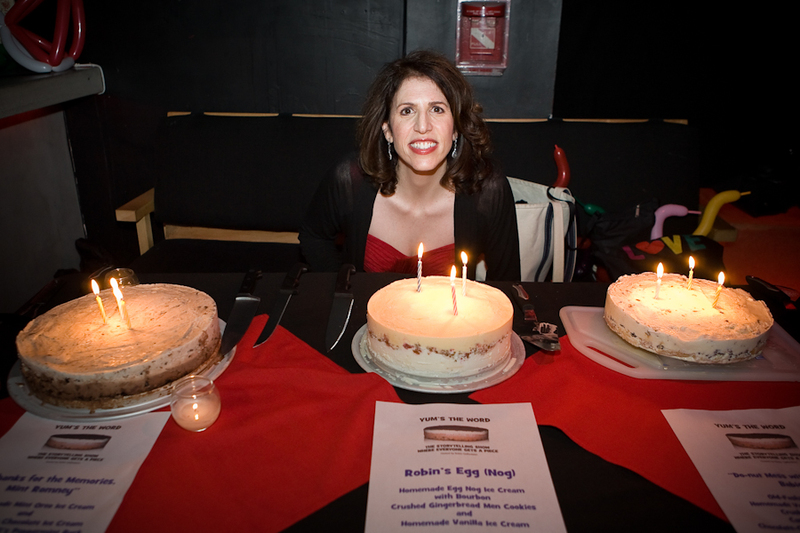 I make homemade ice cream cakes for my storytelling show, Yum's the Word. Who taught me this valuable skill? One of the funniest people on Earth.